What is Smart Doorbell? Why we need to think of smart doorbell when there are already CCTV for recording places we want? 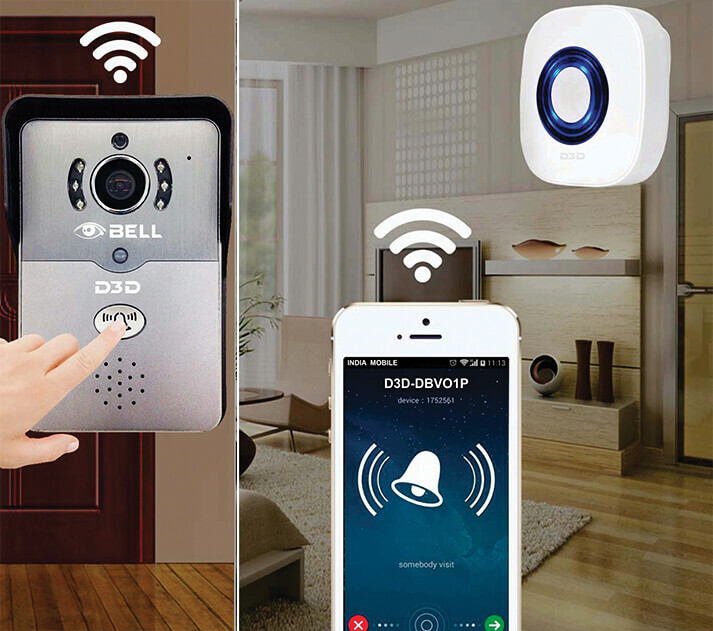 A Smart Doorbell is a Connected Doorbell Camera Which Can Interact With Android Mobile, Use Dedicated Display, Even Can Unlock Door. Biggest point of smart doorbell is that – this camera by technology overrides local laws around CCTV to record part outside privately owned place. As the visitor pushes the bell push button, the camera gets activated (also it can be activated by motion). Secondly, it gives a way to know that doorbell is pressed – CCTV can not do it. Thirdly, it may provide a way to interact with the house owners via video telephony. CCTVs usually never have these features. The big reason is prohibitive local laws. A smart doorbell essentially an internet connected doorbell with the capability to notify home owners in different ways. They may allow the home owner using the smartphone app to watch and talk with the guest. Ability to allow the to open to door (smart lock) depends on model. Smart Doorbell : What Features it Offers? Expected common features of smart doorbell are – visitor alerts, motion sensors, night vision, live HD video, and two-way communication. There are various smart doorbells, doorbell camera on this earth available starting from cheap China smart doorbells with as low as $30 price tag. The higher end market can go anywhere towards $300. There are potential vulnerabilities of some smart door bells. It may be possible for an attacker to gain access to the home wireless network by unscrewing the outdoor unit, evoke to accessing the configuration URL. At worst, the system can be abused to view live footage from complete strangers. There are wired and Wi-Fi based smart doorbells. Wired are usually difficult to setup (requires electrician), whereas Wi-Fi units are usually easy to setup. As for the DIY world, it is possible to build DIY smart doorbell with Arduino or Raspberry Pi. That is particularly good to avoid vendor locking, add more customized features. Sooner or later we will have some guide on DIY way at cheaper cost! This Article Has Been Shared 7666 Times! Here Is China Bicycle Speedometer Review With Infographics Explaining The Functioning Parts, PDF Manual And How It Really Performs In Real Life. What Are Arduino Relay Modules, What They Do? Relay Modules Isolate Two Circuits. We Can Control 230V Appliances With Arduino Using Relay. Cite this article as: Abhishek Ghosh, "Smart Doorbell : Connected Doorbell Camera," in The Customize Windows, November 24, 2018, April 25, 2019, https://thecustomizewindows.com/2018/11/smart-doorbell-connected-doorbell-camera/.